Yes it’s Thursday, E News is a day late this week and will be short & sweet! Hearing great reports from last Sunday’s Kerran Mudgway Memorial Club Championships. It appears the run course was a real winner!! A huge thank you to Race Director Robbie Weatherald and all our willing helpers who assisted in the lead up to the event and on race day. 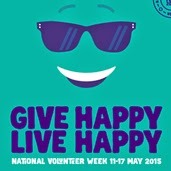 We can’t thank our volunteers enough especially in this, National Volunteers Week. Thanks also to Blue Cycles NT who continue to help out at our events. 1. At a Volunteer Week function earlier this week, President Tony Cox received a well-deserved NT Volunteer Certificate of Appreciation for all his behind the scenes efforts on behalf of the club. 2. The weather was hot, hot, hot at Ironman 70.3 Vietnam. 3. Good luck to Craig Garland who is among those tackling North Face 50 this weekend. 4. Tri legend Michellie Jones will guide Katie Kelly along her Road to Rio. 5. Robbie Andrews came in 3rd at UltraMan Australia last weekend. 6. Some of our members are heading down to Jabiru this weekend for the Kakadu Triathlon (250m swim. 10km bike, 2.5km run), a fundraiser for CareFlight. Have fun!